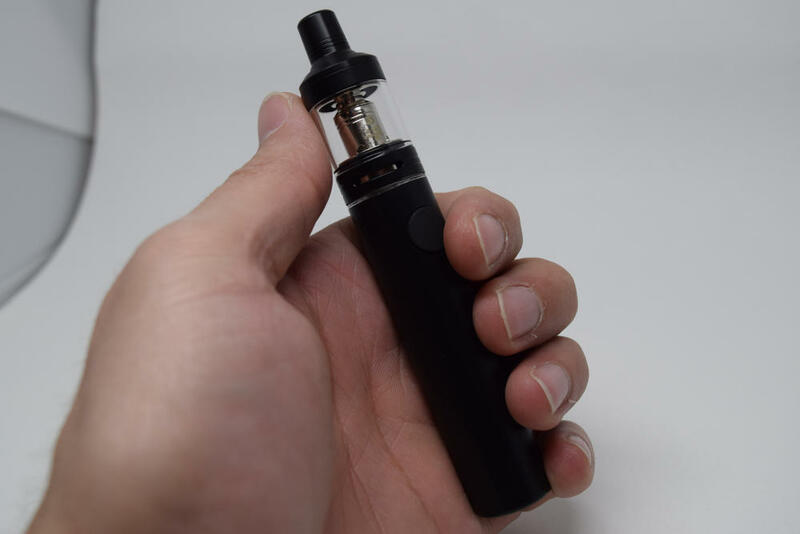 When it came out, the Joyetech eGo AIO was widely considered the best starter-level vaping device on the market, but that was nearly 2 years ago. 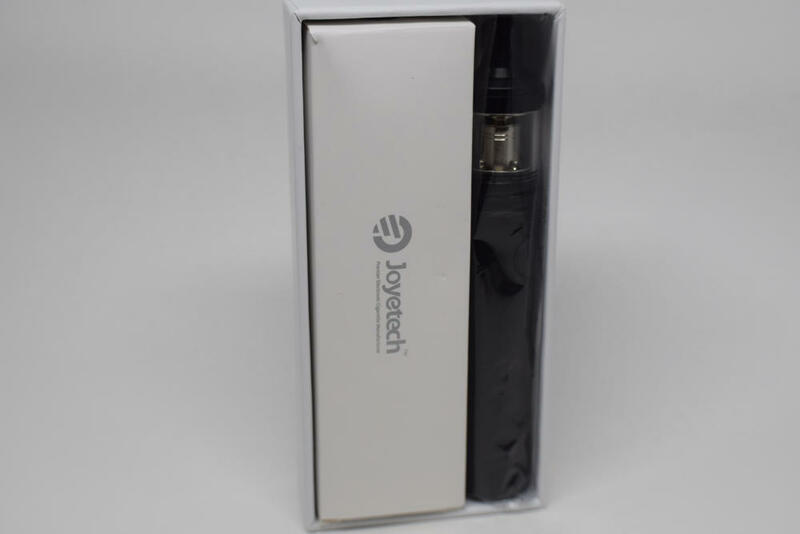 That’s a long time in this industry, and even though the eGo AIO remains very popular, Joyetech decided that it was time for a new and improved version of their beginner-friendly vaporizer. 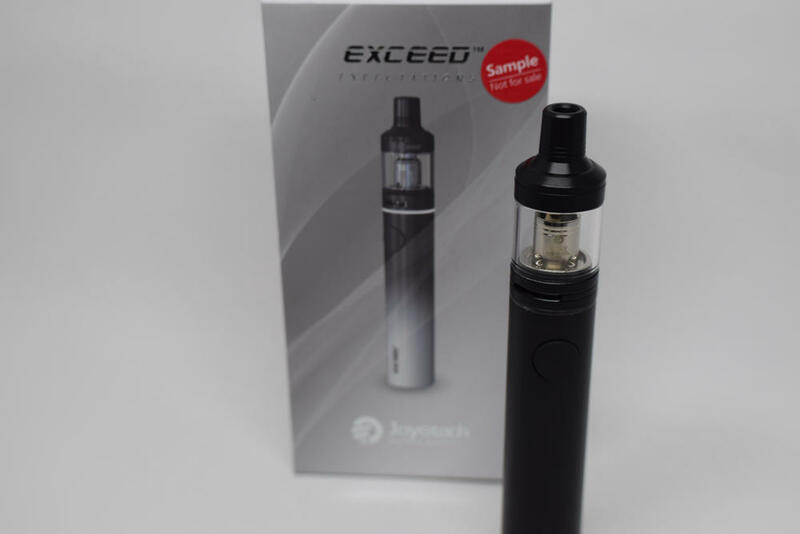 Enter the Joyetech Exceed D19 starter kit. 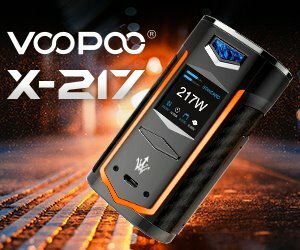 Before we get into the nitty gritty of this review, I just want to emphasize that this is an entry-level device, mainly designed for smokers looking to switch to vaping. 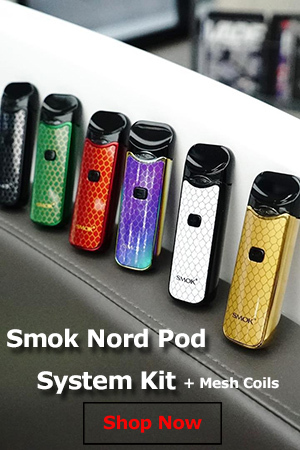 It’s not packed full of advanced features like the mods I usually review on Vape Ranks, it doesn’t have the best battery life, and vapor production is just average, but that does not make it a bad product, not at all. It’s simplistic by design, to make it more appealing to smokers looking for a quick hit of nicotine, who don’t want to bother with settings, building coils and all that. So if that’s the device you’re looking for, read on, if not, you’re probably not going to be too impressed with the Exceed D19. 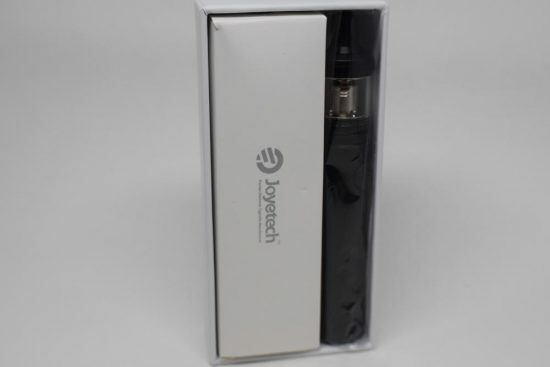 The Joyetech Exceed D19 comes in a small rectangular caedboard box, with a printed image of the e-cigarette printed on the front, and a list of contents, company information and authenticity scratch sticker on the back. Inside the packaging, we have the assembled Exceed D19 placed next to a smaller cardboard box that contains the micro USB charging cable, a spare coil head, an extra glass tank, and some o-rings. Also in the kit are user manuals for both the D19 tanks and the battery, as well as a couple of decorative stickers, an informative card on preparing the tank for first use, and a warranty card. The Exceed D19 started kit is actually a decent offering, and I especially like the included replacement tank, which we don’t often see in these rudimentary kits. If you’ve ever dropped and cracked a glass tank, you know how important this accessory can be. 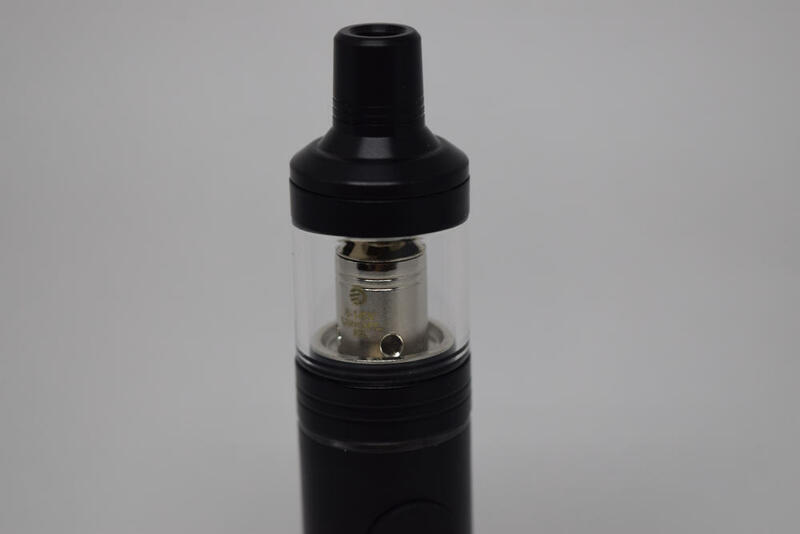 The Joyetech Exceed D19 is exactly the same size as the popular eGo AIO – 118 mm tall and 19 mm in diameter – but, unlike its older sibling, it’s not an all in-one-device. 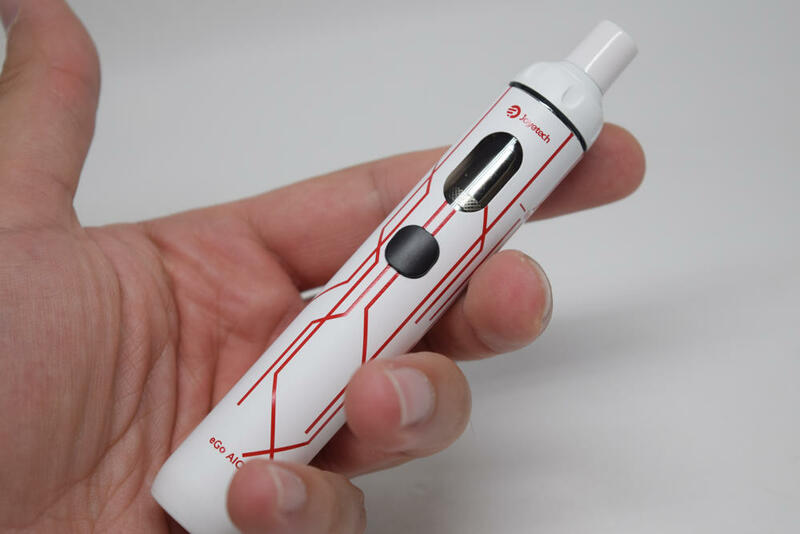 The tank is removable, which Joyetech claims makes it easier to clean, and also comes with the bonus of being compatible with other devices, thanks to the 510 threading. For this review, I received the black Exceed D19, but Joyetech also makes it available in white, stainless steel, dark orange and a black&white two-tone version. That last one is the best looking of them, in my opinion, but I guess it depends on personal preference. The Exceed is definitely not the most impressive vaping device ever created. It’s made up of a cylindrical battery featuring just a plastic fire button and a micro-USB port, and a 19 mm tank with adjustable airflow. It’s rather simplistic, but that’s what the company hopes will make it appealing to smokers in search of a less dangerous alternative. Like the eGo AIO, the Joyetech Exceed D19 has a battery capacity of 1500 mAh, which not may seem like very much, but for a device that only fires between 4.2V and 3.7V, depending on how charged the battery is, it’s actually decent. At the top, the battery features an LED ring that acts as a battery life indicator. When the battery is between 60% and 100% charged, the red light stays lit, when it’s between 30% and 59% charged, it flashes slowly, between 10% and 29% the battery flashes moderately, and between 0% and 9%, it flashes fast. The tank is probably the most impressive part of this device. 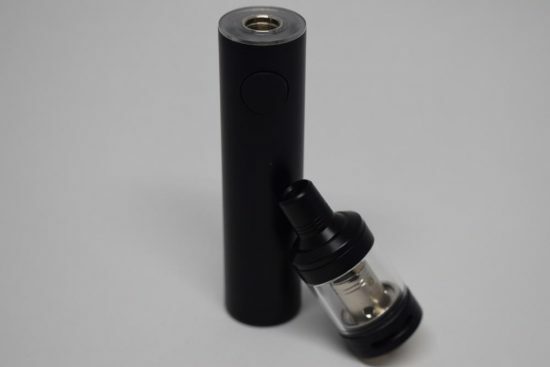 It has a 2 ml e-liquid capacity, a top filling system that can be reached by unscrewing the Delrin top cap, and an interesting airflow ring on the bottom that allows users to adjust the airflow for both MTL (mouth-to-lung) vaping and direct lung vaping. The tank only has airflow on one side, but it has two style of slots to choose from. 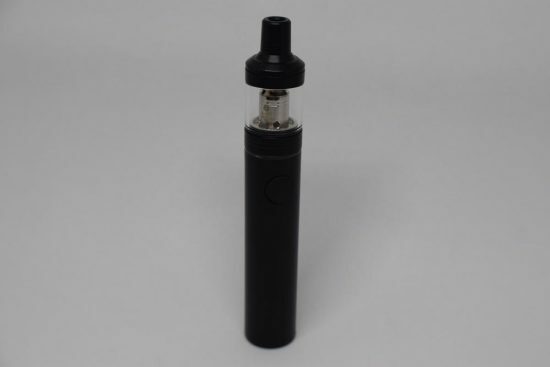 There is a classic cyclops slot for direct-lung vaping, and three small holes for MTL vaping. The ring is adjustable, with stoppers on each side, so you can set the airflow according to your preference. 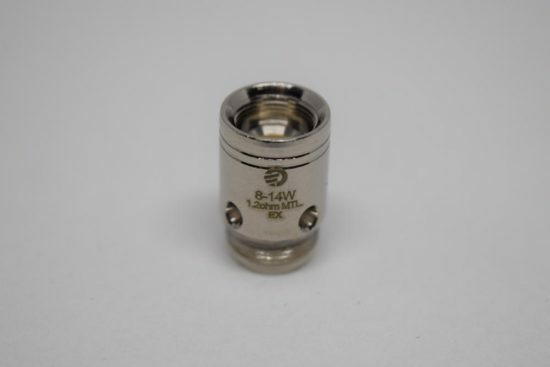 There’s nothing stopping you from using the included MTL coil with the larger airflow slot, or the 0.5Ω direct-lung coil with the smaller slots. The two coils included in the Exceed D19 starter kit are not going to seem to impressive for someone used to extreme sub-ohm vaping, but for someone coming off tobacco cigarettes, they actually provide a great vaping experience. 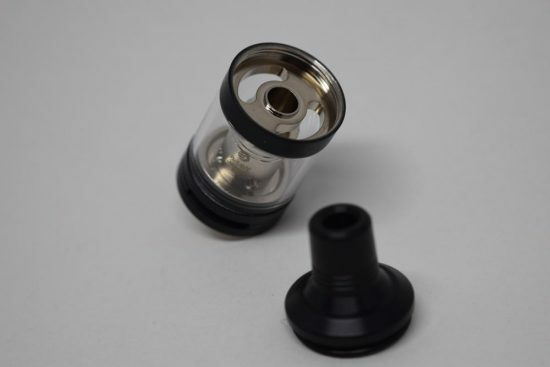 The MTL coil has a very narrow airflow shaft, which, combined with the MTL-style airflow slots on the tank, ensures a very restrictive smoking-like draw, while the 0.5Ω direct-lung coil is airier but produces a lot more vapor. The Joyetech Exceed D19 is not a variable wattage vaping device, but you’ll notice that the coils have recommended vaping ranges etched on them. That’s because the tank is detachable and you can use it with mods that actually allow you to set the power output. 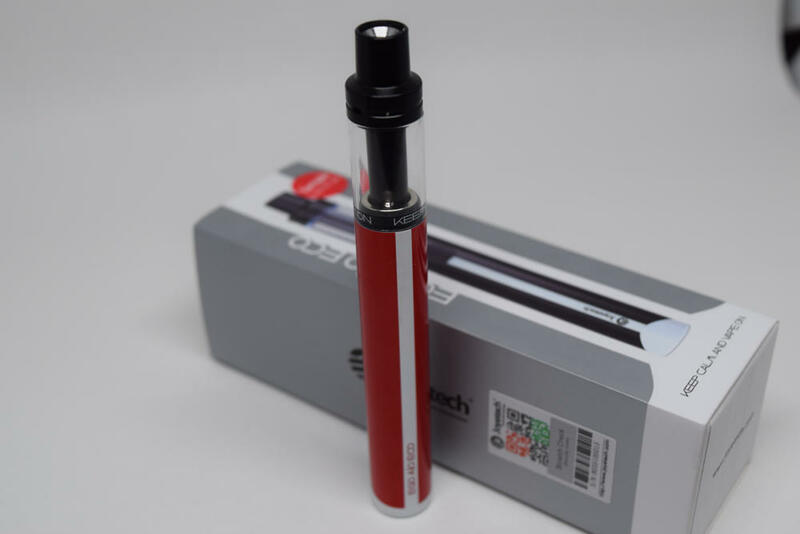 The Joyetech Exceed D19 battery has a capacity of 1500 mAh. Battery life varies on how often you use it, and what mode you are using it in. 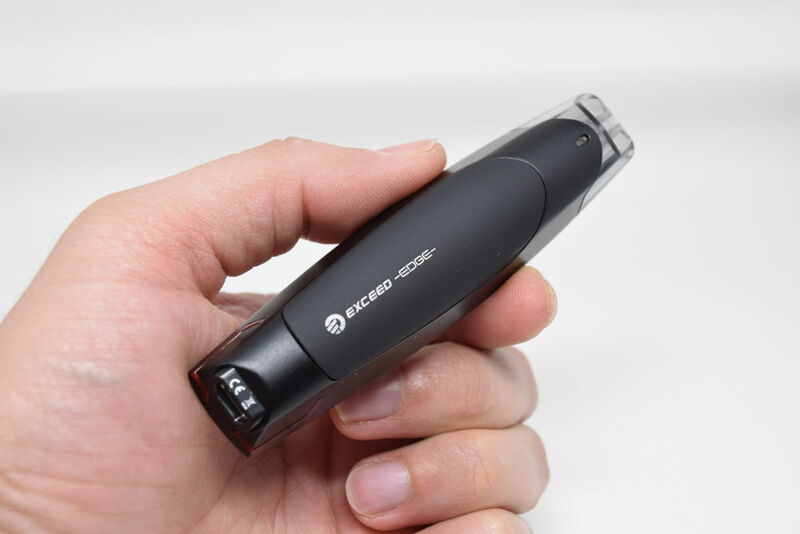 Like previous Joyetech entry-level vaporizers, the Exceed D19 features two modes – direct output and constant voltage. You can switch between them by long-pressing the power button when the battery is switched off. A white LED ring symbolizes direct output, and an orange light, constant voltage. In “direct output”, the battery discharges its actual voltage, starting at 4.2V when fully charged, all the way down to under 3.7V. This means that you will notice a constant decrease in vapor production until the battery dies. In “constant voltage”, the battery maintains a constant voltage at all times. Vapor production will remain the same until the battery suddenly dies. Obviously, constant voltage sounds like the best option, but you may notice that the battery doesn’t last as long as in direct output mode. I have mainly been using the Joyetech Exceed in constant voltage mode, and I’ve been getting about 7 hours of use out of it. However, I am a heavy vaper, so beginners and casual users will probably get a bit more vaping time out of it. In terms of performance, the Joyetech Exceed D19 is actually very impressive for a starter-level device, offering decent clouds of vapor in direct lung mode, and excellent flavor in MTL mode. It reminds me a lot of the old eGo AIO, but the addition of that two-mode airflow system on the tank makes it just a little bit better. I’ve had no problems with the device in the two weeks that I’ve been testing it for. There’s virtually no delay in battery activation when pressing the fire button, and I’ve experienced no leaking with the tank. The only downside is that you have to vape all the juice to be able to remove the coil, otherwise you’ll spill all the juice in there. The Joyetech Exceed D19 is a worthy successor to the throne held for so long by the popular eGo AIO. 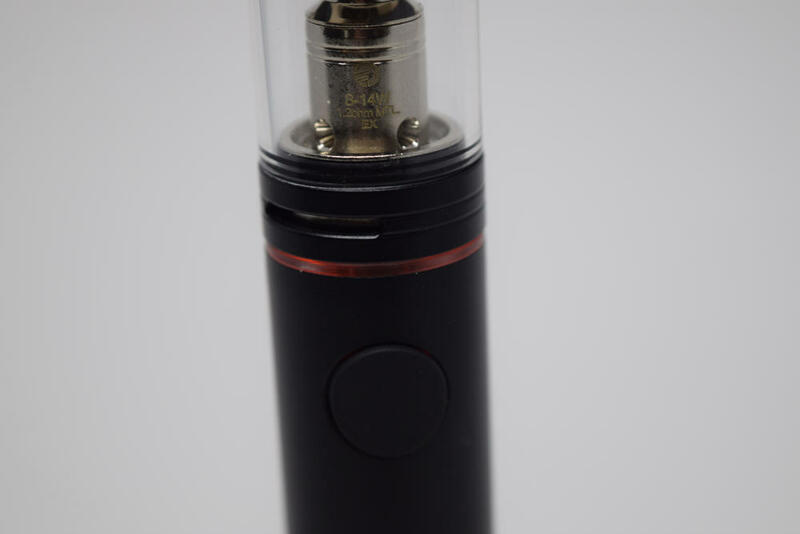 It has all the features that made the AIO the king of entry-level vaping devices, and actually exceeds it in versatility. 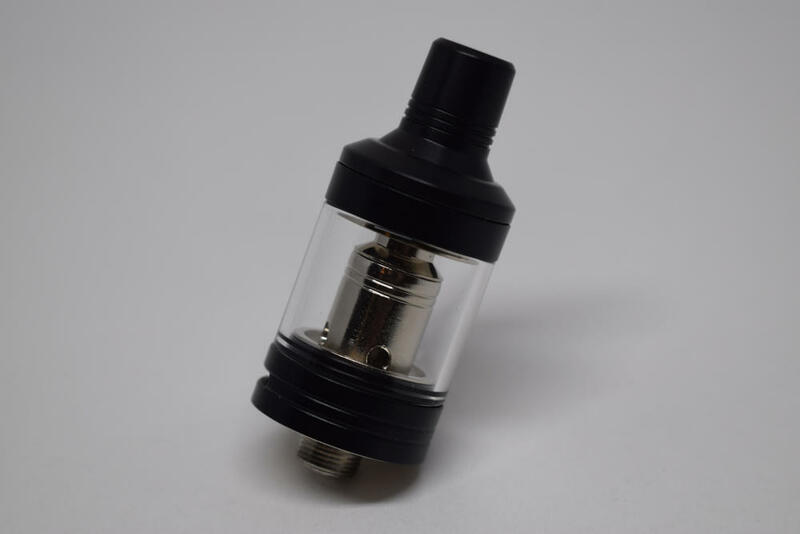 The innovative airflow system on the D19 tank lets you tweak both MTL and direct lung mode to perfection, and the fact that this is a detachable device means that you can use the tank with a higher power device if you so wish. The Joyetech eGo AIO was always my first recommendation to smokers wanting to give vaping a try, but the new Exceed D19 just seems like a better device. And with a price of just $19.00, it’s going to be tough for the competition to beat it. bought it on April 29,2018. have a lot of issues, just after two weeks vapor tasted burn, The battery overheat close to the tank level, the liquid. does not fully atomize making bobbles burst at the exit and burning lips. I change coil, put fresh liquid charge overnight a full battery charge and continue with same issues in addition now it does not turns on. So no good of a review on my side I need help to get this going HELP!!! !